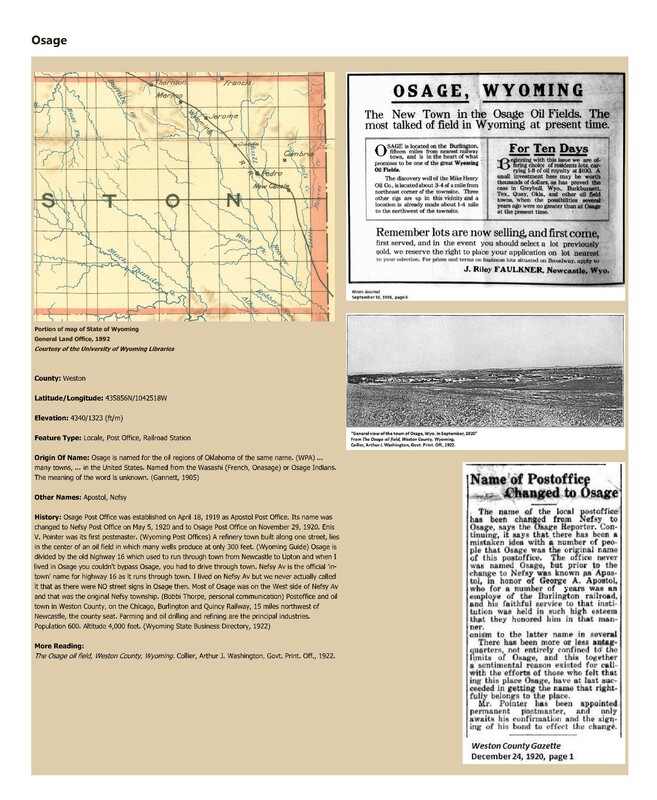 Topic: The Osage oil field, Weston County, Wyoming. Collier, Arthur J. Washington, Govt. Print. Off., 1922.